Costly renewable energy policies are already set to raise California power costs by $5 billion or 33 percent due to expensive and unreliable wind and solar energy. However, that may be only half of the additional cost, since the "California Public Utilities Commission has called on utilities and private companies to install about $5 billion worth of batteries and other forms of energy storage to help the state power grid cope with the erratic power supplied by wind and solar energy." Thus, in total, new renewable sources and the battery capacity necessary to provide reliable electricity may cost $10 billion by 2020, representing about a 66% increase in electricity rates. 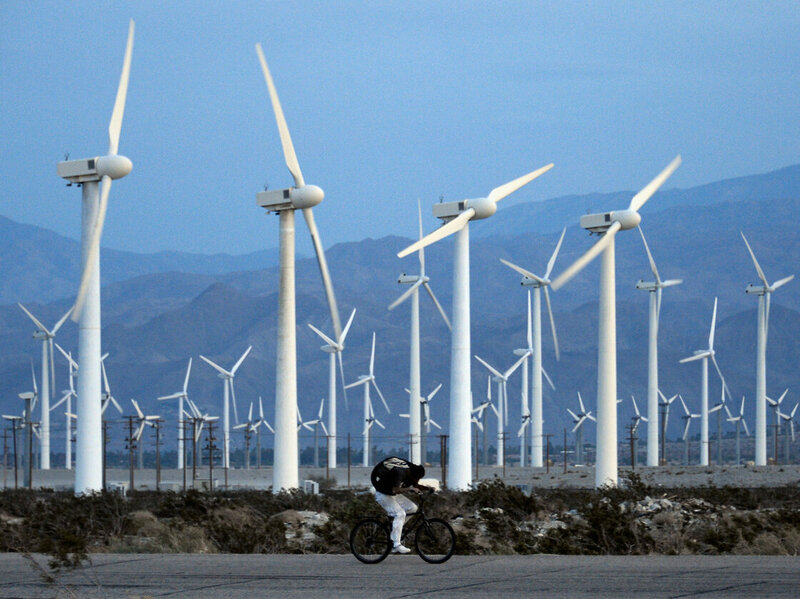 Strong gusts in Palm Springs, Calif., generate plenty of energy, thanks to turbine farms. But being able to store all that energy is just as important. Stem is housed in an abandoned showroom in Millbrae, Calif., just across the highway from San Francisco International Airport. And the company's not just aiming to help the state's power grid. Storage batteries made by Stem, a Bay Area startup, look like glitzy gym lockers. It turns out the car wash has to pay extra on its electric bill for those periods of high demand. All companies in California get billed for their peak use, as well as their total electricity consumption. The battery packs they install in businesses look like glitzy gym lockers, and are controlled by a small computer, connected to the Internet. The computer's job is to decide when a company should be pulling energy from its batteries, rather than from the grid. When the company's energy demand is low, it can recharge the battery. So is Stem simply building a system that allows companies to "game" their electric bills? Glauthier says, no. "You absolutely help the [power grid] system," he says. "If you get a small energy storage system in every body's home, or every business, that could have a substantial impact on the grid as a whole," Kamath says. "Of course right now it's difficult to do that because it's a relatively expensive product." Everybody's hoping that creating this huge demand for batteries will also help drive down the cost. 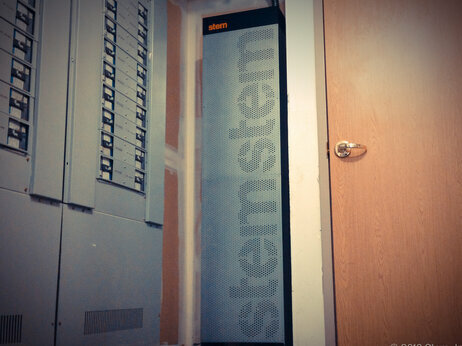 Stem is planning to scale up its operations so it can play a role in stabilizing the grid. The grid operator actually pays for that service, so it could be another revenue stream for Stem. Glauthier says the company has installed just 10 systems so far, but they have 150 more orders in the works. And once they reach a critical mass, they will be able to control all the batteries they install from one central location. "It's taken us four and a half years to get here, and I think there's another three to four years to go before we're really blowing the doors off," Glauthier says. Authorities must take up this issue very carefully otherwise a message will go to global fraternrity saying solar energy is not the best option in all circumstances.